Life Music Laughter: Easy Way To Reduce Thanksgiving Stress So Your Holiday Doesn't Go Down the Drain. This was the year that mom, clearly stressed out of her turkey lovin' mind, decided that we were not going to have the usual turkey gravy from a jar. She decided that gravy from scratch would be much better. She had never made gravy from scratch before but she thought "how hard can it be!". She set out to make homemade turkey gravy. She mixed the turkey drippings with flour, added some more flour and mixed it some more until she had some really nice looking lumpy gravy. No matter how much she mixed it, she couldn't get rid of the lumps. Then she had an idea; she would just strain the lumps out. She poured the lumpy gravy mixture into the strainer and...the gravy went right down the drain! She forgot to put a container under the strainer. She was left with was a strainer of lumps and we were left without gravy! The moral of the story, when it comes to Thanksgiving: Don't make it any more stressful then it needs to be. Do what you're good at. It is okay to use gravy from a jar if that's what works best for you. You can always put that extra time into something you know you're good at; even if that something is putting a frozen pie in the oven. Thanksgiving is about spending time with family. The food is just what you gather around to make that happen. 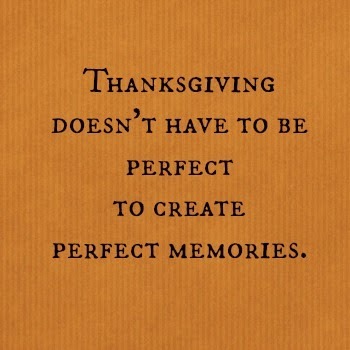 Thanksgiving doesn't have to be perfect to create perfect memories. I learned years ago not to stress over holidays. Too many stressful holidays changed how I handle holidays. I have no idea why I stressed over holidays. 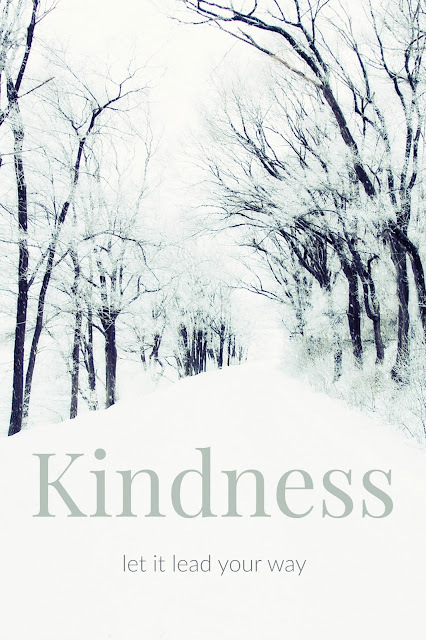 But I do know that when you do not stress over the holidays - the holidays are really really FUN! Good for you! they are so much fun when you don't stress! LOL! You have one of those moms too, huh?! :) I hope you have an awesome stress free Thanksgiving! Holidays are definitely a stressful time of year! We decided this year we are starting a new tradition of camping and are going to skip the big dinner all together! Yes holidays are stressful. I have learned a long time ago that less is best. Thankfully my aunt does most of the preparation and the rest of us brings a side dish or a dessert. Times are changing and she is getting older so we will be making changes in the future I am sure.